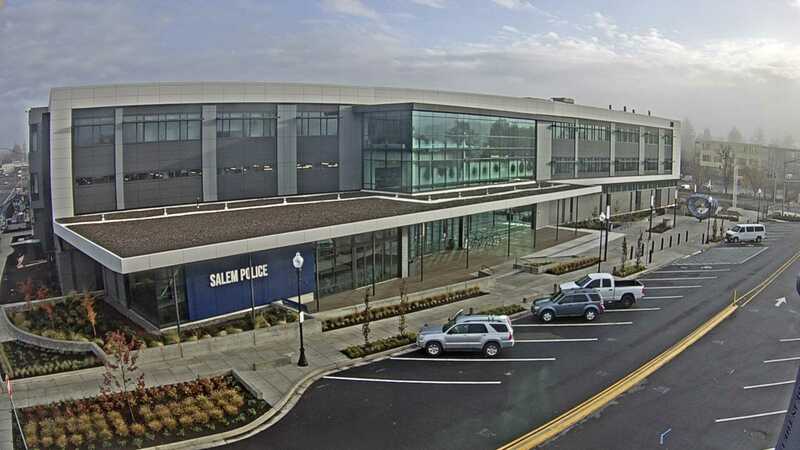 ​In May of 2017, the residents of Salem passed a bond measure to finance the development of a public safety facility where the Salem Police Department can conduct business efficiently and safely. The site selected for the new facility is on the corner of Commercial and Division streets NE, formally the location of the O’Brien Auto Group. Site demolition ended in April and construction could start as early as fall 2018. Project completion is estimated by fall 2020. The project schedule will show the various phases of design and construction as this multi-year venture progresses. February 2018 - Site and building design phase initiated. February 26, 2018 - Demolition and hazmat abatement started. April 30, 2018 - Demolition and hazmat abatement complete. May-August 2018 - Preparations for site construction which begins fall 2018. September 2018 - Archeological excavation as part of the groundwork before site construction began. Archeology Day, September 10. November 2018 - The public is invited to the official groundbreaking ceremony on November 9. January 15-27, 2019 - Archaeological artifacts discovered at the project site on display at the Salem Public Library. January 2019 - Construction phase begins and will continue through September 2020. More that 1,400 responses were received for the police station design survey. Respondents' ideas and comments contributed to the design concepts presented at the March 21, 2018 town hall meeting. The results of the survey are available for review. In May and June 2018, project team members visited ten Salem neighborhood associations and gathered additional citizen input on the site design and surrounding campus. On July 25, 2018, the project design team hosted another town hall to reveal the final floor plans and campus layout. Residents provided additional input about the community space and public art for the project. Residents with additional questions can send them by email to the project team at [email protected]. Project information will be posted online and shared using social media to keep the community in the loop and involved. Starting in February 2018, the Salem Police Department will host a monthly video update posted to the City of Salem website and Salem Police’s Facebook, Twitter, and YouTube accounts. The hashtag #BuildingBuzz will post periodically to share facts and tidbits with residents about their new police station. Subscribe to the project’s email distribution list to begin receiving updates February 2018. See what’s happening at the site right now with our live project camera. You can watch as the site is prepared and the building goes up. Images are updated every five minutes. Refresh this page to see the most current view of the project site. Future home of the Salem Police Department. Image is updated every five minutes. Work is done in zones on the site from west to east. On the west end (left side) the second floor is starting to take shape. Concrete work is continuing with the first floor east end, with at-grade slab. To access the entire list of episodes, select the playlist icon in the upper left corner of the video window. In 1972, 108 officers moved into their new offices on the first floor of Salem City Hall. Today, 45 years later, the space is inadequate for 190 officers and 53 civilian staff. The new facility will meet current seismic standards required of a new police station to remain operable during natural disasters. The new building will also allow the department to function more efficiently by bringing together many important police functions that are currently located off-site in separate and leased buildings. CB | Two Architects, a local firm, was selected as the lead architect consultant team on this project. They have partnered with DLR Group, police design specialists, who have completed over 80 justice facilities across the country. The Salem City Council formed a council sub-committee to meet monthly with the core team to receive updates and provide input and guidance. There are no events to show in this calendar at this time. ​For more information about the Salem Police Department and its public safety services, visit our web page or follow Salem Police on the standard social media channels.